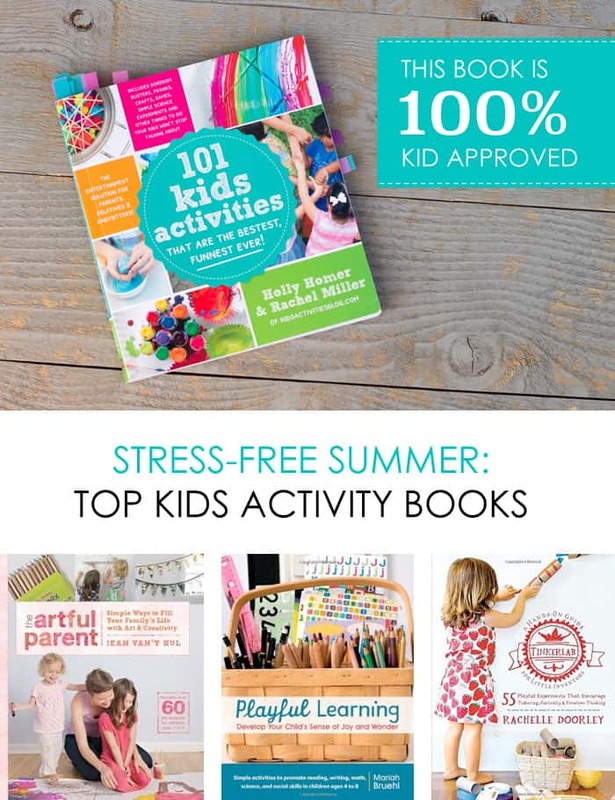 Summer Schedule for Kids: An approach inspired by the NEW 101 Kids Activities book! Sometimes I smile at my kids and think about how lucky I am to be able to spend lazy, relaxing summer days with them. Other times, I feel … simply overwhelmed by the lack of routine. Switching from a daily schedule to the openness of summer vacation can be challenging for kids (and parents!). THEN… switching back into a fall school routine can be exhausting. I’ve discovered a middle ground. 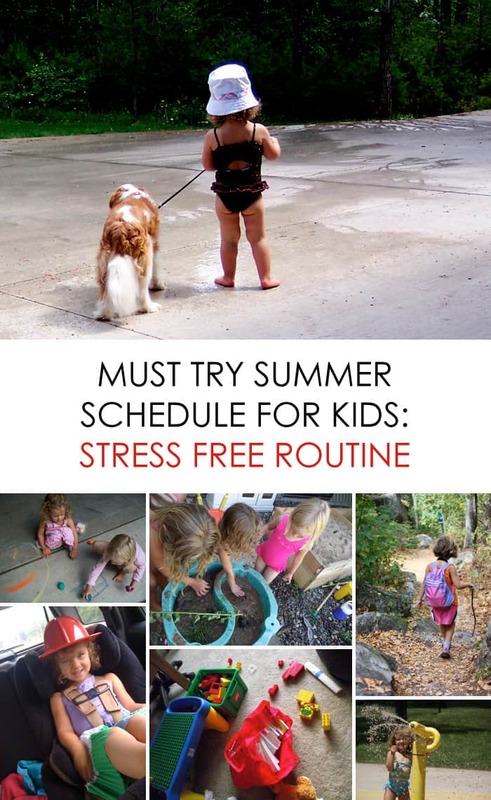 This summer add JUST ENOUGH structure into your daily activities to keep your family on a routine. This summer, consider having an ongoing weekly schedule; for example, make…. Library Day can mean whatever YOU want it to depending on your mood, schedule, and how the kids are feeling. It can mean you return books through the library drive-thru and nothing more. It can mean you do story time. It can mean you go in and pick out three books. It can mean you choose a movie to check out and watch later in the afternoon. Make the task as big or as small as you feel like on that particular day. Art Day can mean 15-minutes of store-bought play dough or a full fledge “get out the paints, glitter, and glue” project. Outdoor Adventure Day can mean 15-minutes in the front yard, a trip to the playground, coffee on the patio of a Starbucks, or a picnic at a local beach. Recipe Day can mean baking cookies from a log, cooking dinner together, or simply trying something new. Educational Fun Day can mean going out to lunch together and counting the change from the bill, it can mean doing a science experiment, or watching a PBS show. The point is, YOU decide. Pick themes so broad that you have massive amounts of leeway from one week to the next. I have a good friend who even writes out the weekly schedule on their family chalkboard to help her kids know what to expect. Your kids will love the underlying structure. 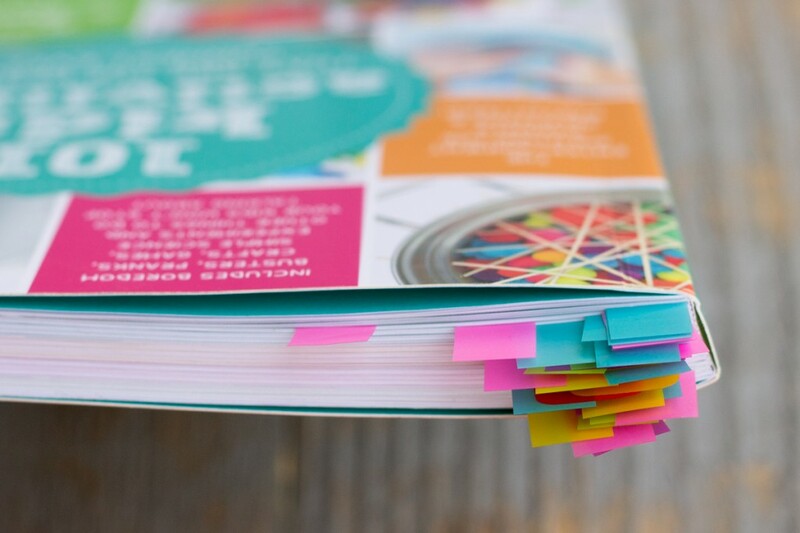 If Pinterest is not your thing, I have a few awesome books to recommend. 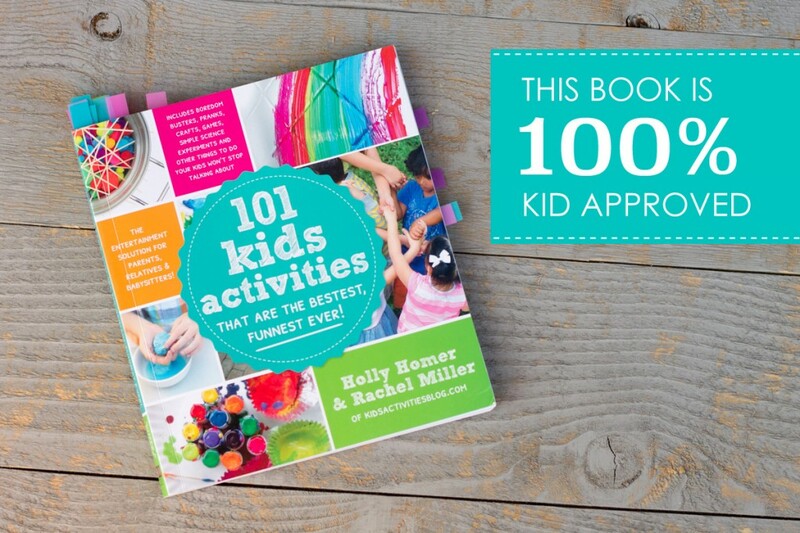 You’ll want to start with this 101 Kids Activities That Are the Bestest, Funnest Ever! Check out the table of contents… Oh yeah. This book has got you covered ALL SUMMER LONG. 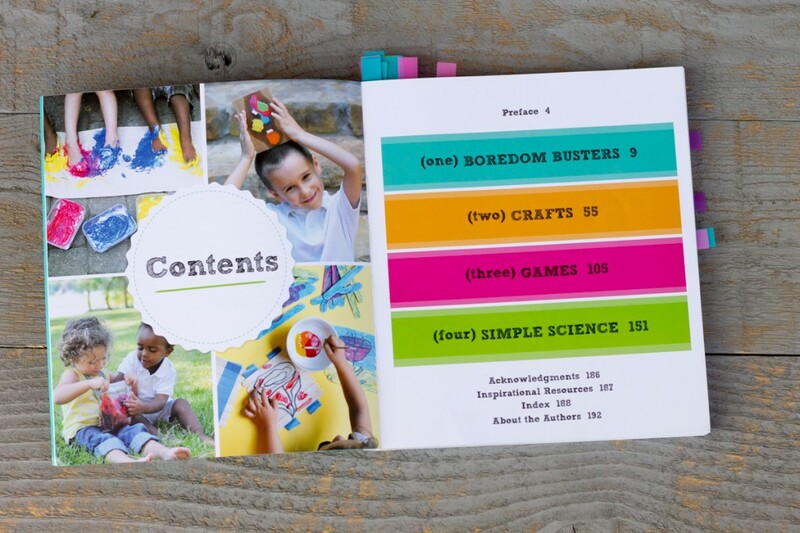 Order 101 Kids Activities That Are the Bestest, Funnest Ever! on Amazon. Let’s just say this book is 100% Kid Approved. Read about what happened when my girls got their hands this book. Have you got theme ideas beyond what I have listed above? Let’s chat in the comments! The more inspiration, the better. Love your ideas! I have four little ones and started last summer with having more structure to our days. It worked out so well I’m doing it again this summer. I break up each day into two parts, morning activities (detailed below) and after nap/quiet time that includes various learning activities, playing outside with neighbors, a daily hour-ish clean up house time, and a before dinner walk/bike ride. Evenings are family fishing, ball practice/games, swimming, etc. M: Moms Meet up at conservation dept, possible donut/coffee stop as special treat, then weekly Aldi run. Mere 15 minutes in the yard? And then what? Back to the TV?! What are the kids supposed to do on the patio at Starbucks?!!! That’s not an environment for kids, let alone they will get bored there and start messing around or get whiny. I think you may be missing the point there Richard, they are examples of thinking that not everything has to be full on action. And as an aunt to two young teen boys who would stay locked away all summer given the chance, I will definitely entice them out of the house for a courtyard ‘coffee’/milkshake/whatever… 15 mins fresh air, in public is more than one of them would ever choose for himself.